Refer to Gasoline/Gasoline Vapors Warning. Relief the fuel pressure. Refer to Fuel Pressure Relief. 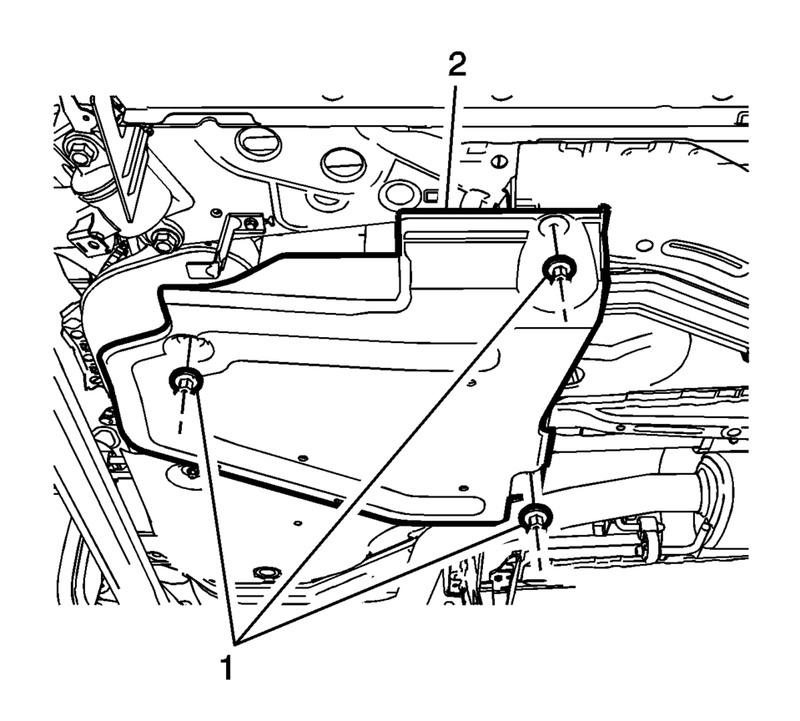 Disconnect the evaporative emissions front pipe (1) from the evaporative emissions purge valve (2). Refer to Plastic Collar Quick Connect Fitting Service. Close the evaporative emissions pipe connections with the CH-807 plugs . 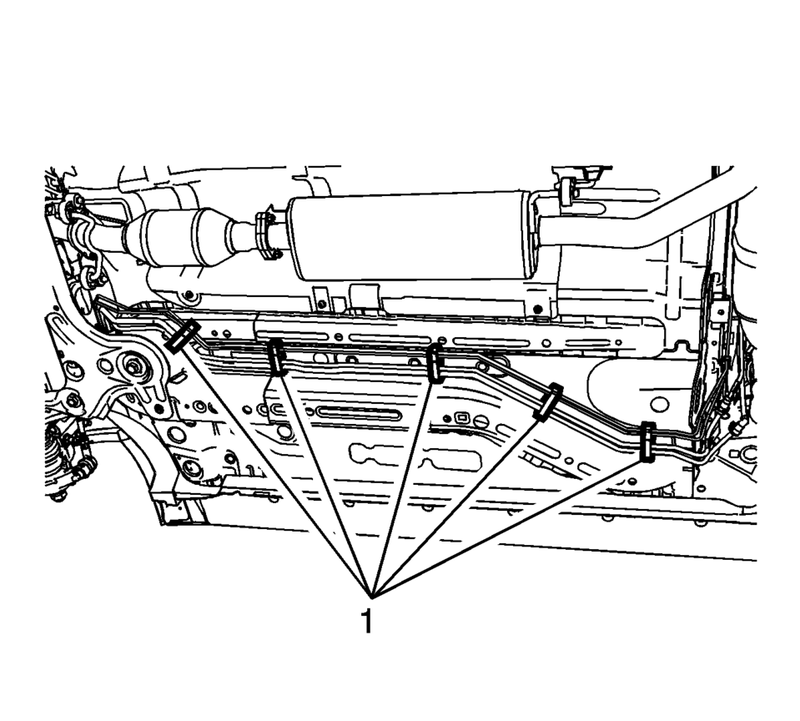 Unclip the evaporative emissions pipe (1) from the retainer clip (3). Remove the frame reinforcement fasteners (1) and remove the frame reinforcement(2). Open the 5 fuel pipe clips (1). 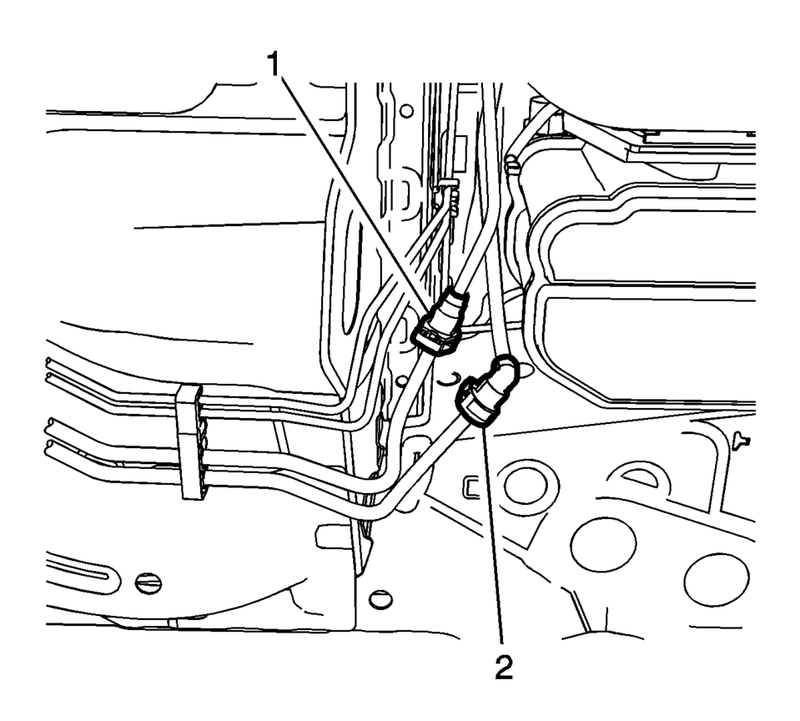 Disconnect the fuel tank evaporative emissions connector (2) from evaporative emissions pipe. Refer to Plastic Collar Quick Connect Fitting Service. Close the evaporative emissions pipe and evaporative emissions fuel tank feed pipe with the CH-6015 plugs . Remove the evaporative emissions pipe. Remove the CH-6015 plugs from evaporative emissions fuel tank pipe and evaporative emissions pipe. 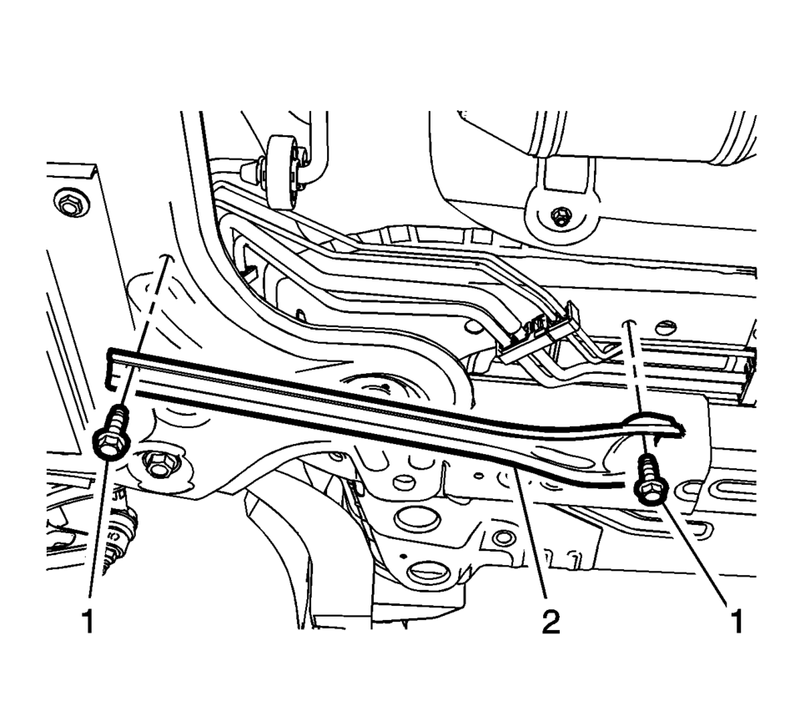 Install the evaporative emissions pipe and secure with the rear fuel pipe clip. Connect the fuel tank feed pipe connector (2) to the evaporative emissions pipe. Refer to Plastic Collar Quick Connect Fitting Service. Close the 5 fuel pipe clips (1). Clip the evaporative emissions pipe (2) into the retainer clip (3). Remove the CH-807 plugs from the evaporative emissions pipe connectors. 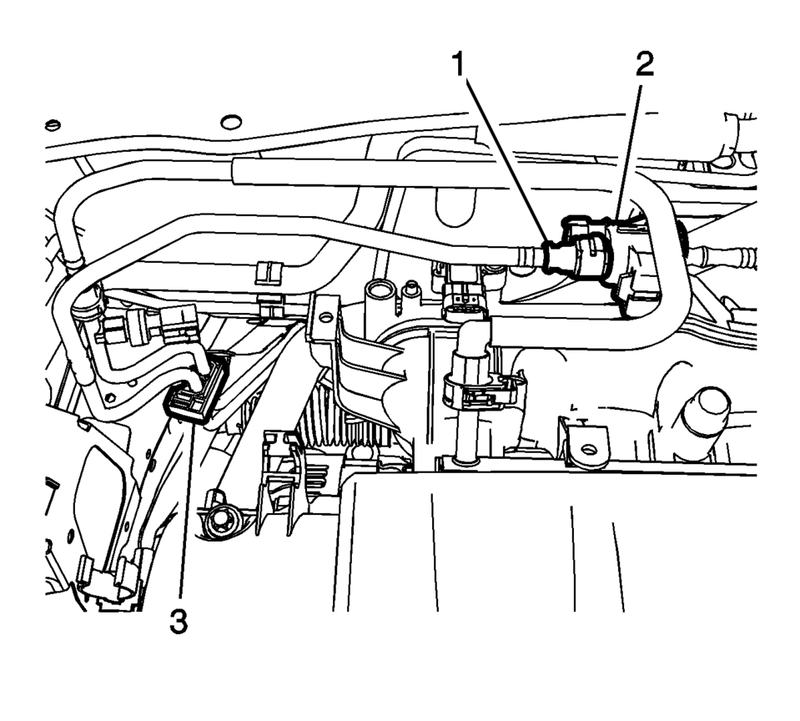 Connect the front evaporative emissions pipe connector (1) to the evaporative emissions purge valve (2). Refer to Plastic Collar Quick Connect Fitting Service.